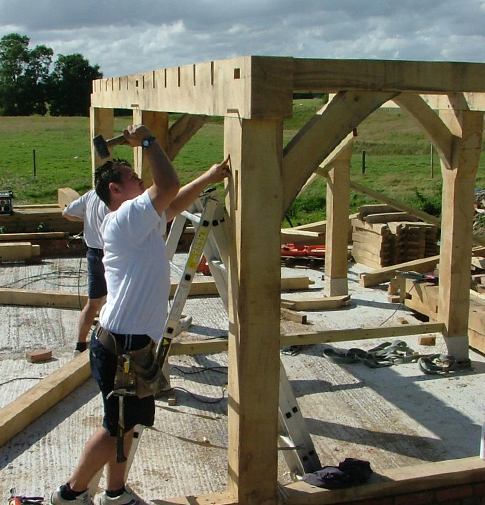 Acorn Buildings use quality Green Oak which is supplied from sustainable forests and build using traditional Mortice and Tenon joints, secured with Oak pegs, which strengthen as the building matures due to the Oak contracting. Every project is meticulously planned and executed leaving no room for error or wasted materials. Acorn take a great pride in all the buildings they have constructed and rightly so as each one has surpassed their customers expectations. By offering a personal service, Acorn can ensure that your building is not only practically suitable, but aesthetically pleasing and sympathetic to it's surroundings too.